What would you see if you attended a trial in a courtroom in the early Roman empire? What was the behaviour of litigants, advocates, judges and audience? It was customary for Roman individuals out of general interest to attend the various courts held in public places in the city centre and as such the Roman courts held an important position in the Roman community on a sociological level as well as a letigious one. This book considers many aspects of Roman courts in the first two centuries AD, both civil and criminal, and illuminates the interaction of Romans of every social group. 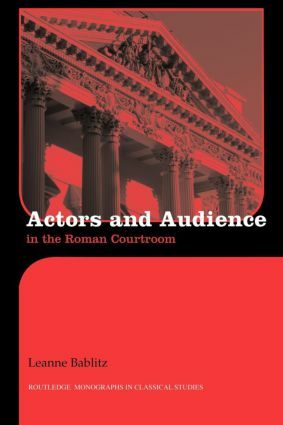 Actors and Audience in the Roman Courtroom is an essential resource for courses on Roman social history and Roman law as a historical phenomenon.